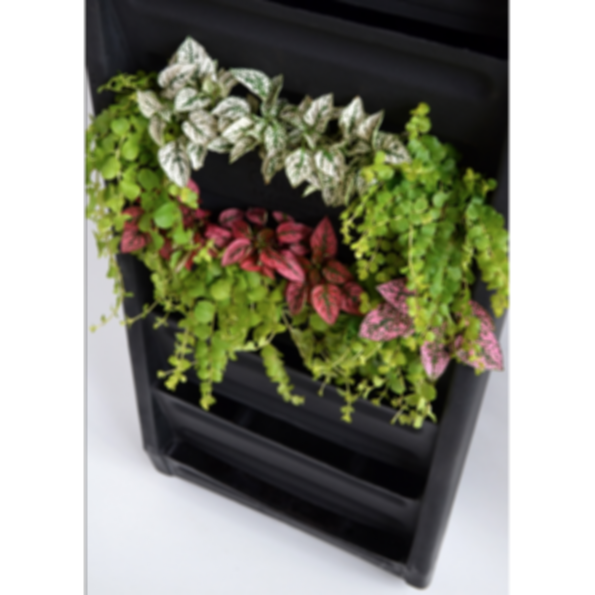 The Omni Ecosystems™ Living Wall for Outdoor/Exterior Applications™ brings together state-of-the-art modular living wall design with specially mixed growing media that provides ideal drainage and water retention for annual plantings. Omni Ecosystems manufactures innovative green roof and green wall systems. For green roofs, Omni provides the first comprehensive green roof, which is an ultra-lightweight systems with a large variety of plant options, including wildflower meadows, food production and grasses. The Omni Tapestry is a lush and robust living wall system that surpasses others in ease of installation and maintenance. The Omni Facade is a customizable wall-mounted green facade system that allows for quick plant coverage and seasonal accents. In addition to these products, Omni also provides consultation for architects, training for Omni Certified contractors, and construction oversight for all Omni projects. We can provide turnkey service or a la carte, as appropriate for your project. When working as a turnkey solution, we provide the materials necessary to complete the project, design assistance, and installation and maintenance services.